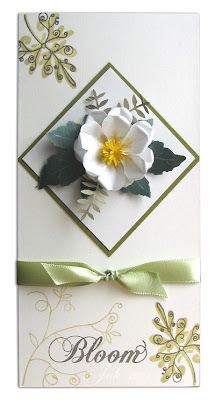 Another blossom made with the pear punch, I love the natural colour ways of this card. Beautiful Jak, I just love those PTI stamps. Being from the Southern part of the U.S., I love magnolias. I would LOVE to know how you made it. It's beautiful! Another stunning card Jak, I hope you are feeling better. Another beautiful card Jak. I do love the elegance and simplicity of your cards. What an elegant creation, love it!